The head of Brazil's military has issued a warning against the presidential candidacy of the country's imprisoned former leader Luiz Inacio Lula da Silva, who has been banned from standing for office. 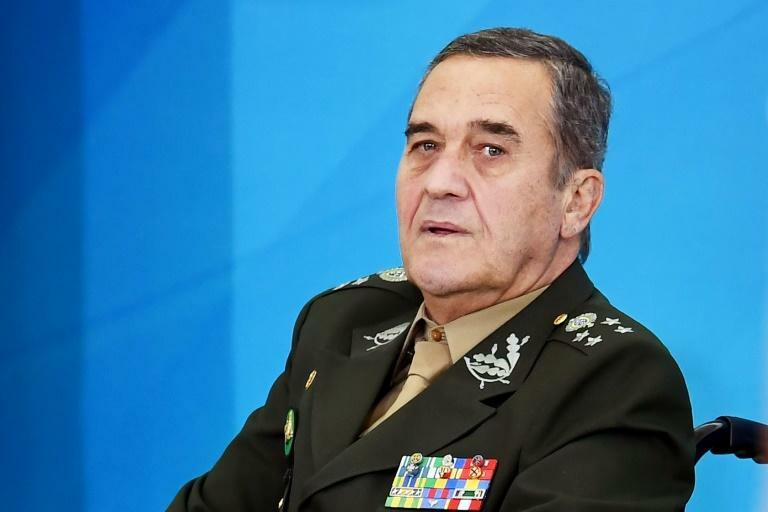 The warning from General Eduardo Villas Boas came as supporters of far-right presidential candidate Jair Bolsonaro demonstrated in support of the frontrunner and former army officer, who is convalescing after being stabbed while campaigning. In an interview published Sunday in the Estadao de S.Paulo newspaper, Villas Boas said that "the worst scenario" would be for a president to be elected with a pending court ruling, "removing legitimacy... and further dividing Brazilian society." He took aim at the UN Human Rights Committee, which recently said the left-wing icon could not be barred from elections while his legal appeals are ongoing. It is "is an attempt to violate national sovereignty," Villas Boas said of the committee's position. The general caused a stir in April when his criticism of "impunity" for corrupt politicians was seen as a direct appeal for the Supreme Court to authorize prison for Lula. Brazil's military is highly respected but has kept largely clear of politics since the return of democracy in 1985 after two decades of dictatorship. In Rio de Janeiro, some 2,000 supporters demonstrated at Copacabana beach in support of Bolsonaro on Sunday. "Bolsonaro was stabbed because he is already elected," Flavio, one of the candidate's sons, told the cheering crowd. He wore the same shirt -- yellow with the words "My party is Brazil" -- that his father had on when he was stabbed in the abdomen on Thursday during a rally in Juiz de Fora. The Bolsonaro supporters said a prayer for the candidate's health and then went into a loud rendition of the Brazilian national anthem. "I am totally sure that he is the only one who can repair this country and end corruption," Nilce Ferreira, wearing a Brazilian national team jersey, said at Copacabana. Another gathering of "Bolsonaristas" -- this one in Brasilia -- was attended by almost a thousand people, according to media estimates, and a third was to take place in Sao Paulo during the afternoon. A left-wing activist knifed Bolsonaro in the southeastern state of Minas Gerais on Thursday, claiming to be on a "mission from God." He is hospitalized in the Albert Einstein Hospital in Sao Paulo, which said Sunday that his condition is improving but that he was still receiving nutrients intravenously. The knife attack was the latest in a series of bizarre twists in Brazil's presidential contest, from which Lula -- the most popular candidate -- was disqualified because he is serving a jail sentence for accepting a bribe, leaving Bolsonaro the frontrunner.